Culpepper is this year’s Southern Region recipient – he’s one of five national recipients of the award – and will be recognized at the 129th APLU meeting in Austin, Texas, on Nov. 13. A self-professed “farm boy,” Culpepper’s teachings are different than most professors at land-grand universities. Instead of teaching students in a normal classroom, Culpepper travels the world every year educating farmers and industry personnel about weed management options for more than 50 different commodities. Since joining UGA in 1999, Culpepper has given more than 900 educational presentations across 24 different states and countries. Culpepper grew up on a bicentennial farm in North Carolina and saw how weeds impacted the crops his parents were producing. He said, as a child, he thought there must be a better way than trying to pull the weeds out by hand. 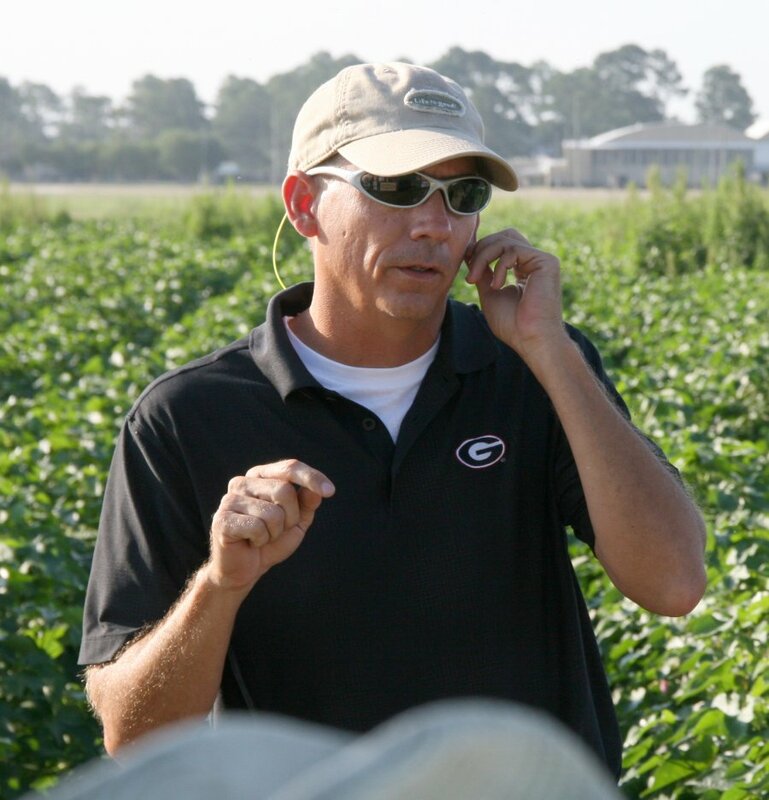 Through his weed science programs in cotton, small grains and vegetable crops, Culpepper is finding those better ways. Culpepper has researched options to control Palmer amaranth, a devastating weed that’s costing Georgia farmers more than $100 million to manage each year. He’s also worked to educate producers about the dangers of herbicide drift. Sustainability of the family farm, which motivated Culpepper as a child, still motivates him as a UGA scientist.